According to a recent FBI Crime Statistics Report, victims of burglary lost an estimated $4.5 billion in 2013. Of those burglaries, 74 percent were of residential properties. 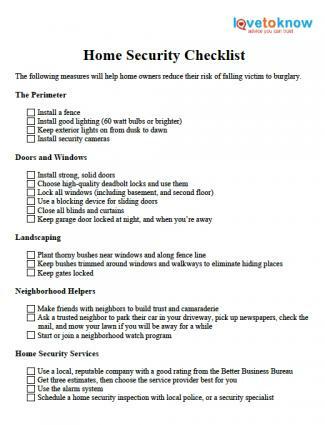 Applying a few of these home security tips, can help to avoid making your home an easy target. Homeowners can engage in several practices to help keep their home and family secure. Intruders target homes that are easy to get into and out of in a hurry, so making your home less enticing to such criminals begins at the curb. Installing a fence is a good beginning defense, and it doesn't have to resemble a fortress to be an effective deterrent. A fence is only a that - a deterrent; it is not a stand-alone defense system. It is simply a signal to potential burglars that they will have to work harder to get what they are after. A determined crook will not be stopped by a fence alone, so installing motion detectors, good lighting, and security cameras at the edge of your property line creates a zone of safety that potential trespassers have to cross before they reach your front door. Most would prefer an easier target. In addition to installing cameras at the perimeter of your property, Bryce Berry, Owner of OnSite Surveillance, recommends homeowners, "Install cameras with a wide dynamic range (WDR) that view your home's front entry and driveway," as well. The additional cameras provide yet another measure of detection before the intruder enters your home. Once a thief reaches the home, entry doors become a homeowner's first line of defense. Those doors can be a protection to the family, or they could be a weak link in the chain of resistance. Many doors are hollow and housed in a wood frame that can be kicked in by the boy next door, let alone a determined prowler. Inspect your entry door and opt for stronger exterior doors. Choosing locks that hinder a burglar's ability to break in will also boost confidence in keeping those doors shut tight. Surprisingly, one of the most common mistakes homeowners make is erroneously assuming their neighborhood is safe enough to leave doors and windows unlocked. One prominent home insurance company explains that approximately 34% of home intruders in the United States enter homes through an unlocked front door, and 23% are able to get in unlocked windows. 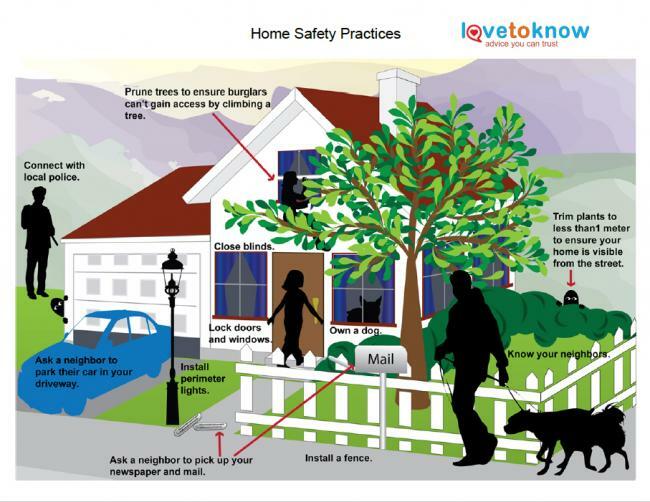 Sergeant Travis Dunn of Utah State University Police confirmed that people living in low crime communities often become lax and rush out the front door, leaving their home unlocked and unprotected. Sergeant Dunn urges homeowners, "Lock your doors and secure your premises, even when taking a moment to do so is inconvenient." Criminals often mark residential targets by peering in windows that have no covering. Several convicted burglars confirm they frequently selected their victims by first peeping through windows where blinds or curtains were left open. Items in clear view consistently enticed the prospective intruder to come back later. Security experts and law enforcement recommend home owners maintain a tidy landscape to limit potential hiding places for lurking bandits. Plantings that grow to more than one meter high can provide adequate concealment for a burglar who is attempting to enter your home. Trim back all landscaping to ensure the front of your home is clearly visible from the road. Building friendships and trust among neighbors increases the security of one's neighborhood. When neighbors know one another, they are more likely to notice and report suspicious activity when someone unfamiliar is prowling around the area. Take turns keeping an eye on each other's property and consider starting a neighborhood watch program. It unites community members with a goal of deterring crime and creating a safer neighborhood for their families. Good neighborhood relationships can also help one keep up the appearance of activity around their home while on vacation. Ask an adjacent neighbor to pick up the paper, collect your mail, and mow your lawn if you are going to be away for a few days. Have your trusted neighborhood friend occasionally park their car in your driveway while you're gone, and offer to do the same for them. Owning a dog may deter potential burglary. Convicted burglars indicate they target homes that enable a quick entry, with limited challenges and an immediate escape without detection. While larger breeds provide an intimidation factor, even a small dog with a persistent bark can convince an intruder to select another target. The first eight home security practices are great preventive maneuvers, but only home security systems offer detection if an unwanted visitor forces their way through. Many insurance companies offer discounts and incentives to offset the cost, and home security video can assist in prosecuting the culprit, should valuables be stolen. 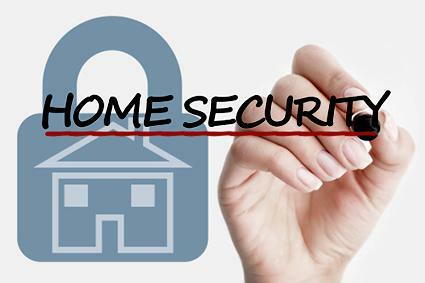 A security service is only as good as the company behind it, so the Electronic Security Association recommends one choose a home security system that provides excellent customer support. Not only can your local police department assist in setting up a neighborhood watch program, but many law enforcement agencies also offer a home security inspection free of charge. Once all security measures are complete, schedule an inspection of the exterior and interior of your home. The inspection will take approximately 45 minutes and once complete, the officer will provide a checklist of ways to improve what you have in place. Contact your local law enforcement agency or investigate their website to see if they offer such service. In addition to the best practices listed thus far, experts suggest further measures that will help one protect their home. The San Jose Police Department offers even more suggestions for home owners to avoid falling victim to burglary in the following video. Use this printable safety checklist to assist you through the process of updating your home security measures using the security practices discussed. You will need Adobe Reader to open and print the checklist. If you don't already have Adobe installed on your computer, you can download it free. Once Adobe Reader is installed, click the image below to open and print. If you need help, use LoveToKnow's Adobe printables guide. Application of these practices will take an investment of time, work and money. A little effort now could prevent significant loss later and ultimately provide peace of mind. After all, knowing you have done all you can to protect your home and family is invaluable.